We all have those moments of random stress, moments that leave us drained, exhausted, and with a lingering feeling of depression. This month at Keeper of the Home, we’ve been addressing ways to find a balance in our lives, both physically and mentally. On Monday, Stephanie addressed natural ways to approach depression, and she mentioned several herbs that can help to calm our senses in the midst of stress. I’d like to elaborate further on some of them, and explain why they work so well. Chamomile is one of the most effective calming herbs. Safe enough for anyone to use, this is my “go-to” herb when I first begin to feel overwhelmed. Chamomile affects not only our nervous system, but the immune and digestive systems as well. It helps to calm nervous stomach cramps and relieve tension headaches. Uses :: I’ve found the tincture to have the quickest effect, however, I also recommend using chamomile tea for lingering stress – I believe the act of sipping from a cup slows our minds and bodies down more effectively. 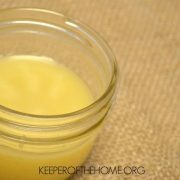 You can also warm olive oil and add a handful of chamomile blossoms to make an easy oil for a soothing massage. I frequently add fresh chamomile blossoms to our children’s bathtub – not only do they love the experience of a “flower bath”, but it allows all of us to benefit from the aromatic experience. 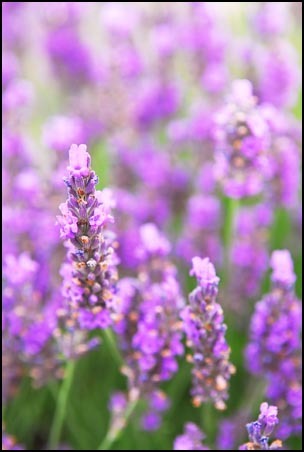 Lavender is one of the most highly utilized plants for its calming effects. It is an incredibly strong nervine, making it a wonderful herb for those who suffer from headaches. It is also a mild anti-depressant, and can be used by itself or in conjunction with other calming herbs for a pleasant tea. Uses: My preferred method is to use lavender honey in my teas – I’ve found that allows the properties of the lavender to come thru, without the overwhelming taste that can quickly turn people off. Another quick relief method is to apply lavender essential oil to your temples and the nape of your neck. 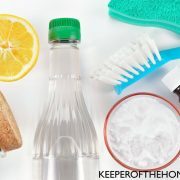 It can also be added to a spray bottle of warm water and used as a room freshener – especially good for when EVERYONE needs a lift! No, it’s not just for cats! It actually has the complete opposite effect on people than it has on cats. Catnip can be used for calming all kinds of stress, although I have found it particularly effective for aiding restful sleep. It also works wonderfully for teething babies, not only lowering the fevers that naturally occur during that growth process, but soothing the accompanying pain as well. Uses: Catnip can be quite bitter, so I’ve found it easiest to combine with other herbs such as lemon balm and chamomile in a tea. I also find it more effective as a tincture, and have had great success in using it in situation where I would normally use Tylenol (fever and pain reduction). 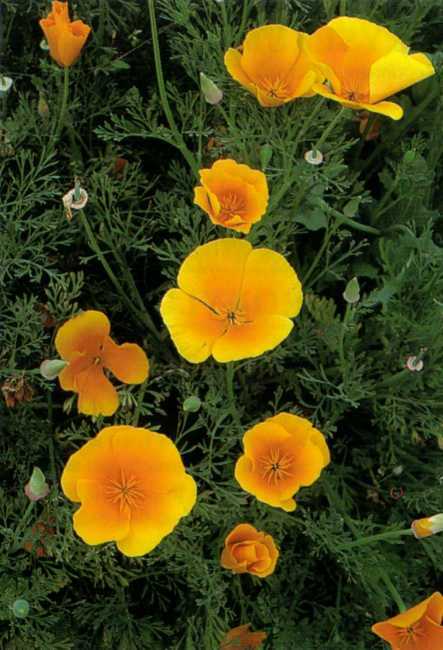 An often overlooked herb, likely because of its association with the opium poppy, California poppy has similar sedative properties, but is much milder and nonaddictive. Uses: Its greatest use is for sound sleep, although I use California poppy for long car trips with our children – it works wonderfully to calm nerve stress, as well as helping balance excitability. I have found the tincture to work well, although a tea made with poppy blossoms and milky oat tops is delightful as well. One of the foundations for our family’s traditional diet is oats. We soak and eat them for breakfast, ferment them with clabber for breads, and make a tea from the green tops. 🙂 Oats are one of the best nerve toners, and are incredibly rich in minerals and vitamins. If you are tired, depressed, anxious – oats can help significantly improve your health. Uses: Eat oats frequently (learn more about preparing them here), or use the milky oat tops as a tea daily. I have found that long term use provides the greatest benefits. This is by no means a comprehensive list! 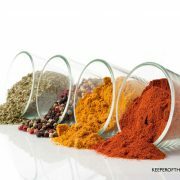 There are many other herbs that God has provided for us to use – do your research, and find which herb or blend of herbs works best for your situation and your body. 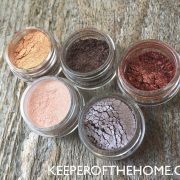 Here’s one of my all-time favorite blends for neutralizing stress. I use this for occasional stress, as well as a treatment for my own insomnia when it rears its ugly head. 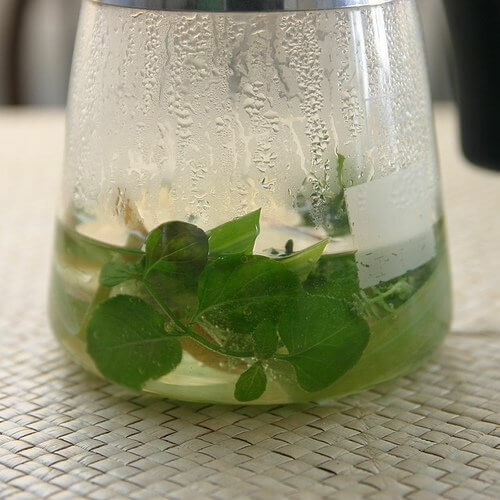 Combine and use 1 tablespoon of herbs to 1 cup boiling water. Cover, and let steep for 15-20 minutes. Sweeten if desired (an excellent time for that lavender honey I mentioned!). Drink 2-3 cups per day for stress relief, and 1-2 cups before bedtime to aid sleep. What kinds of herbal remedies do you find effective for treating your stress? 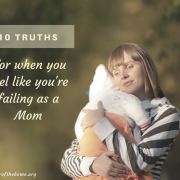 For my postpartum depression, low progesterone levels were a HUGE factor. I took Wild Yam pills to boost my progesterone levels, which also treated the depression. I never liked drinking chamomile tea and eating oats very much, but now, after birth of my third child I’m wild about them and craved them all the time I was wondering why. Now I know why! Believe it not, I suffered from depression after every pregnancy before and now is the first time, that I have absolutely no “problems”. It’s the first time,that I can really enjoy my baby from the very first minute – probably because of my “chamomile and oat diet” (and the wonderful herbal remedy I got from my doctor). Thank you SO much for this post that showed me once again, that your body shows you, what is good for you! I did not know that it was safe to drink chamomile tea while pregnant and nursing! Thank you for that information! @Meg, Me too. Catnip as well. where do you buy your herbal tinctures? this is great stuff!! i’ve never thought of giving calming herbs to my children. i’ll have to start getting my 3 year old to like the taste of tea! @stacey, I either make my own (especially if I have access to fresh plants, like my catnip), or buy them from Mountain Rose Herbs. Lemon balm is one of my favorite herbs for calming stress. It smells (and tastes) so good! I also love lavender, chamomile, oatstraw, passion flower, and linden – either singly, or in combination with each other. @Michelle, I use lemon balm quite often too – I think it’s the citrus smell that makes it so effective… Citrus scents particularly have an uplifting effect on our senses. 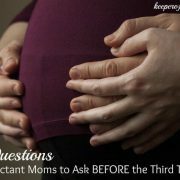 This was a wonderful practical post, I love it when it’s practical. You have a great site here. Thanks for the catnip, I am a Community Herbalist and have a 2 month old niece in my house and needed something to sooth her she has begun teething. My children are 17,14 so I am out of practice with the baby world. And the catnip sealed the deal! So again thanks. I would love to use this but I’m gluten intolerant so I can’t use the milky oat tops in your blend. Any suggestions for a substitute? Or can I just leave it out? Thanks! @Carey, Gluten usually isn’t present in the milky oat tops – especially if they are picked nice and green. You can just leave it out, although I would replace it with oatstraw (which is all plant, and has no chance of an oat in it at all) for better efficacy. I recommend ordering from Mountain Rose Herbs – I’ve never had any of my gluten-free clients react to the milky oat tops I’ve purchased from them.